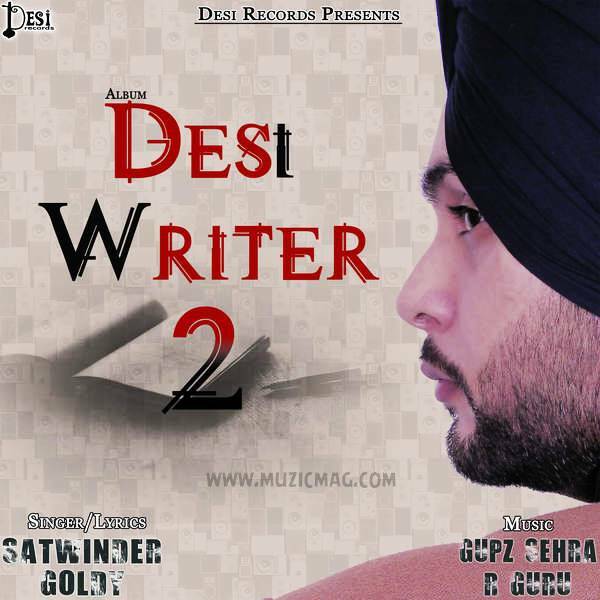 'Desi Munde' and 'Mundri' fame Satwinder Goldy has availed his new Punjabi Album 'Desi Writer 2' free to download official on his social media handle. Desi Writer 2 is his 3rd solo album followed by 'Desi Munde' and 'Desi Writer'. Desi Writer 2 contains 4 original songs and one remix entitled 'Daang', 'Mandeer', 'Sardaari' and 'Shaap'. All the songs are sung and penned by Satwinder Goldy and Music is composed by Gupz Sehra and R Guru.